When you think Scottish music do you think The Proclaimers, or Highland Regiments? 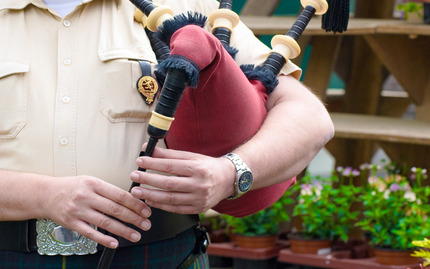 If you're envisioning tartans, kilts, and clans, then this is the class for you! This drum class is sure to get you playing like a Highlander in no time. During this school-styled class you'll receive individualized feedback, complete musical assignments, and learn about the history and culture behind drumming. You'll learn from the very best as you join instructors who have years of experience in competitive pipe bands as players, leaders, and instructors. Every man dies, but not every man truly lives. Begin truly living through the music of The Highlands and sign up today. Note: All materials are included.